Inspired by Fabric: Ring Ring FREE Quilt Pattern! Hoodie Crescent's Ring Ring collection? How about the Linked Up Ring Ring quilt? 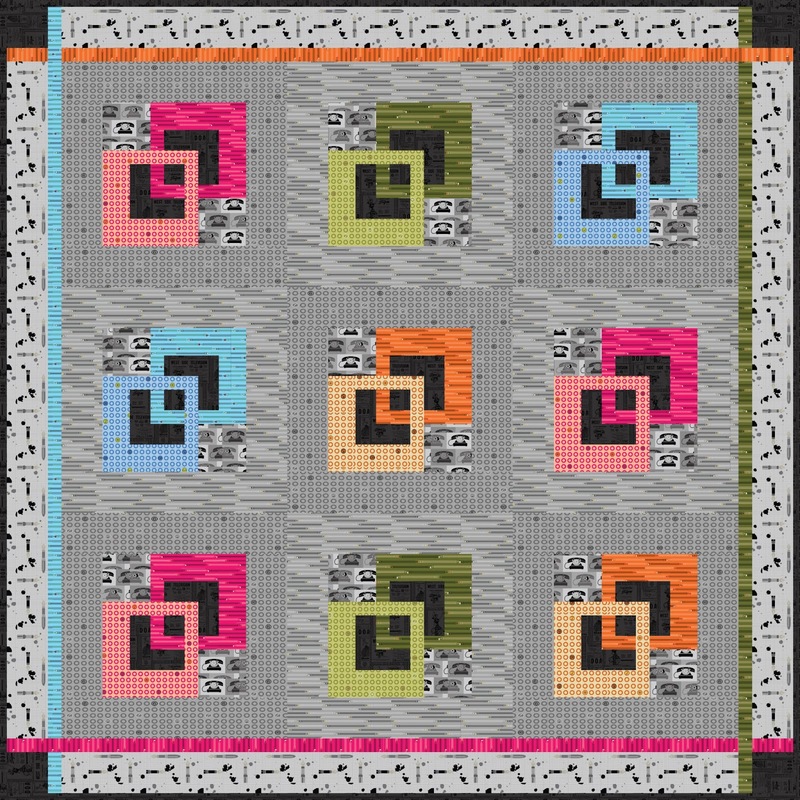 This modern quilt uses the dots and pencils in pink, green, blue and orange linked blocks, surrounded by alternating cool gray backgrounds. 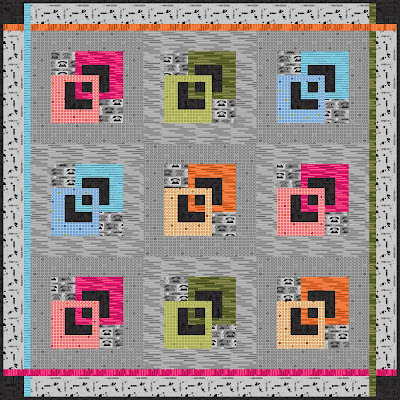 Download the FREE Linked Up Ring Ring quilt pattern here. Ready to make it? 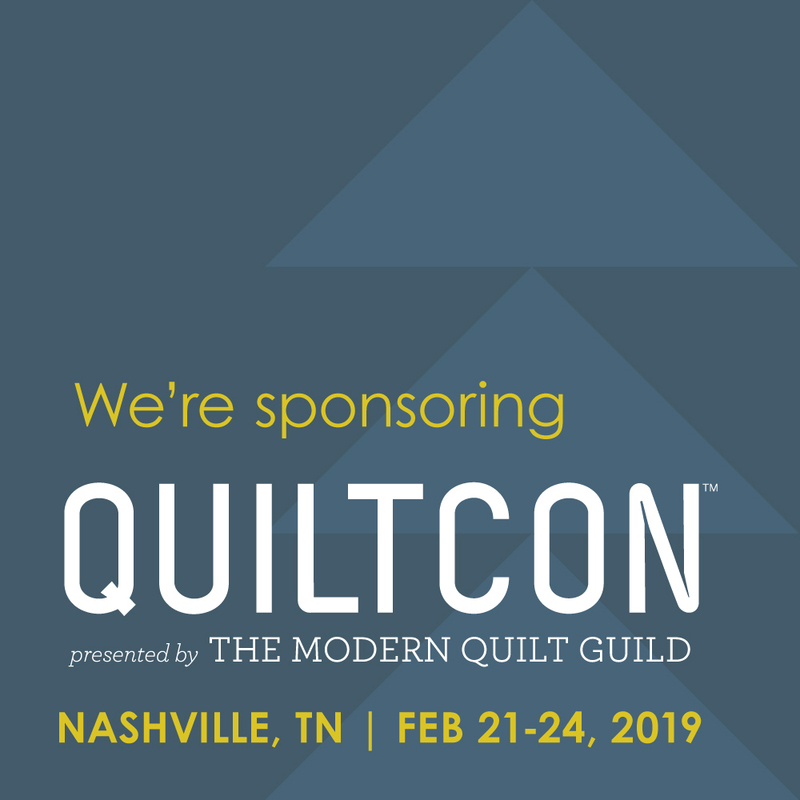 Purchase the kit for the Linked Up Ring Ring quilt here. 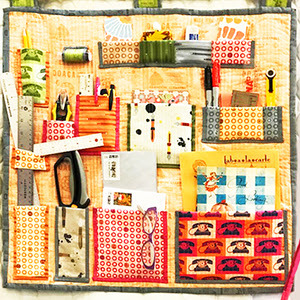 Hoodie used her Ring Ring fabrics to make this hanging studio organizer, complete with pockets to hold pens and pencils, rulers, rotary cutters, mail, and more. Plan your project and find Ring Ring at a store near you. Use our Store Locator form here. Read Hoodie's interview about Ring Ring here. Linked up is an interesting pattern. What a great pattern!!?!! Thanks for sharing.